A cruise can be an incredible family vacation. The appeal of visiting multiple destinations and unpacking just once is undeniable. But, for many, the mega ship cocktail -endless crowds, bland buffets, forgettable port towns, pools that could double as water parks— is not. That’s why the river boat business is booming, especially in Western Europe. Smaller ships that traverse inland waterways offer access to historic towns, superior cuisine and a setting conducive to bonding with fellow travelers (there are usually fewer than 200 guests). The biggest difference, though, is cultural. While on-board entertainment is the focus of massive ocean-faring vessels, river cruises emphasize on -shore activities. Hiking through vineyards on the Rhone? 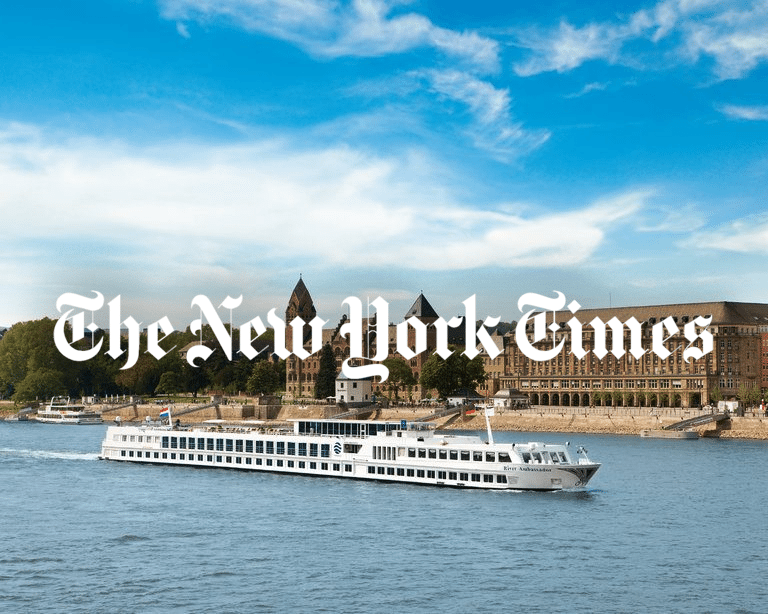 Biking through the Danube’s Wachau Valley? Exploring Vienna’s Schoenbrunn Palace? Small group itineraries deliver “insider” engagement with port towns, a draw for parents (recommended for children age 8 and older) with a penchant for hands-on travel experiences. In the early 1990’s Uniworld helped transform river cruising into the luxurious “floating hotel” concept that exists today. Staterooms were modernized. Cuisine reimagined for the North American palate. Butler service was instituted. In 2010, the company premiered family specific departures. The experiment blossomed into 9 itineraries, it’s most popular being Castles Along the Rhine. In 2017, its Jewish heritage themed Rhine-Main Discovery trip will be tailored for families. In addition to regular programming (visits to Jewish Wertheim, Nuremberg and the former Rothschild palace turned Jewish Museum in Frankfurt) children can test drive armor at Marksburg Castle in Cologne, take a funicular ride over the Rhine and explore a medieval crime museum in Rothenburg. A medieval joust fest in a Slovakian castle and a glamorous evening -with waltzing- at Palais Pallavicini in Vienna are some of dynamic, “once-in-a lifetime” happenings devised by Tauck. Their newest departure- Family Fun along the Seine-will extend this concept with a scavenger hunt at the Louvre, an exploration of D-Day beaches and fear factor foodie games, a clever way to nudge kids to try escargot and stinky cheese. THIS ARTICLE APPEARED IN THE NEW YORK TIMES ON DECEMBER 11, 2016. READ IT HERE.